Each spring semester, the AHEC Office sponsors an AHEC fair for all rising third year medical students. Students should attend this fair to see what sites they are interested in. The 2018 AHEC fair will be on Monday, March 12, 2018 in the Abell Administration Building, 2nd Floor Lobby. At the fair, students will get a chance to meet with AHEC Coordinators from across the state to inquire about rotations outside the Louisville Metro area. Coordinators can answer questions about housing hosts, clinical sites, and local attractions in their areas. Students will complete an AHEC Rotation Request form either during the fair, or return it completed to the AHEC office no later than March 19, 2018. Students will receive confirmation of rotation and location assignment from the Department of Family and Geriatric Medicine. Students will complete an AHEC Fact Sheet and return it to the AHEC office B-Building, Room 225. 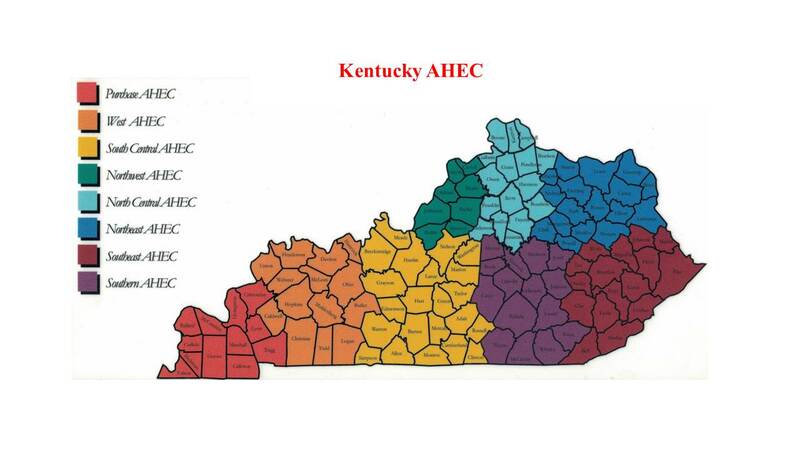 The AHEC Program Office will send the fact sheet to the Regional Coordinator and the Student Affairs Office.